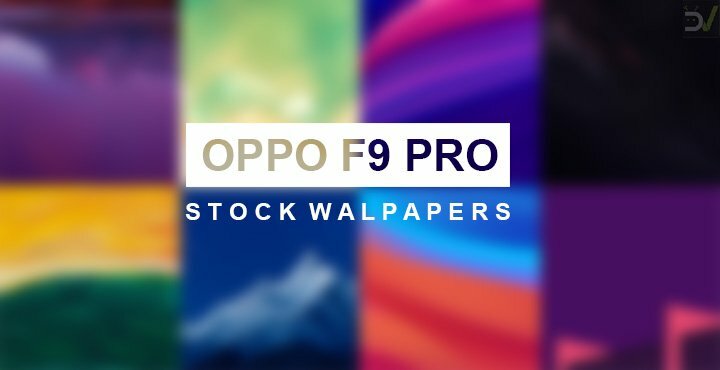 The Oppo F9 Pro stock wallpapers are now available for download in full HD plus resolution with 1080 x 2340 px resolution and 19:9 aspect ratio. You can download all 8 wallpapers from the F9 Pro from below. 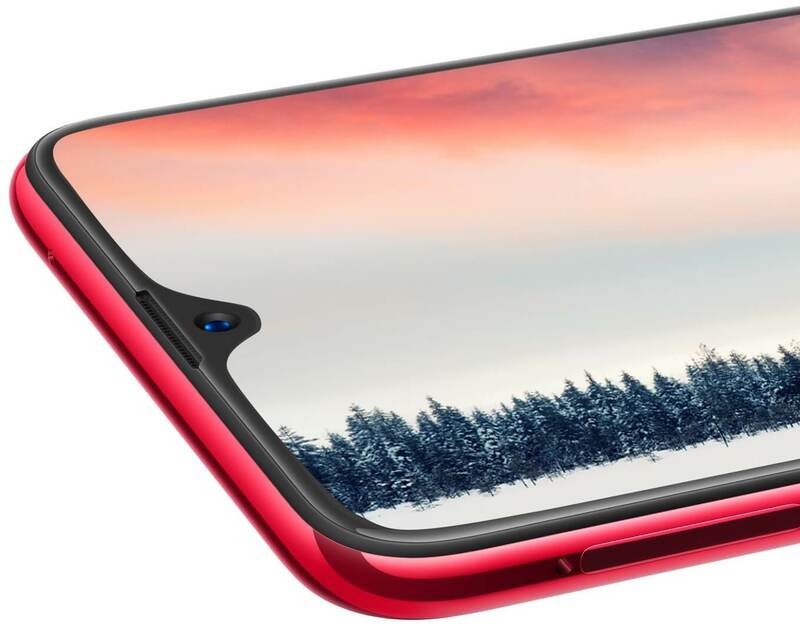 Last year, Apple finally pushed the boundaries of smartphone design set by Samsung, introducing the now omnipresent notch in the process. Since then, no one has really come close to Apple’s mostly screen design even though everyone did copy the notch. Oppo, however, did take things to a whole new level. First, the introduced an all screen smartphone in Oppo Find X. When people expressed concern over the motorized camera mechanism, Oppo came up with the Oppo F9 Pro which has the tiniest notch on a smartphone. Of course, like the Find X, Oppo F9 Pro has new stock wallpapers which we have for you right here. The Oppo F9 Pro comes with a 6.30-inch touchscreen display with a resolution of 1080 pixels by 2340 pixels and a tiny water drop notch. It is powered by a 2GHz octa-core Helio P60 processor paired with 6GB of RAM. The phone packs in 64GB of internal storage which can be expanded up to 256Gb via a microSD card. The water drop notch house the 25-megapixel front shooter for selfies. The rear camera setup consists of a 16-megapixel (f/1.8) and a 2-megapixel (f/2.4) sensor. Powering all of that hardware is a 3500mAh battery which supports Oppo’s proprietary SuperVOOC charging technology. It has all the sensors you can expect. These include the Fingerprint sensor, Compass/ Magnetometer, Proximity sensor, Accelerometer, and Ambient light sensor. The smartphone also supports face unlock. With prices starting at ₹21,858 the Oppo F9 Pro is clearly not intended to compete with the Oppo Find X and the iPhone or the Galaxy Note. Instead, it’s a budget offering from Oppo for those who want the SuperVOOC charging from the Find X and a minimal notch design without paying a premium. If you’re expecting the device to perform like a OnePlus 6 or a Pixel 2 XL, you may be disappointed. We can say the stock wallpapers from the Oppo F9 Pro are definitely not disappointing. Not to mention you don’t even need to shell out those big bucks to enjoy them either. The Oppo F9 Pro Stock Wallpapers pack contains a total of nine wallpapers. 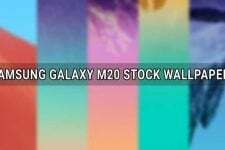 These have a resolution of 1080 pixels by 2340 pixels, the same as the Oppo F9 Pro’s display. You can see eight of these in the images below. They have been resized in order to reduce page loading times. This ensures our readers don’t have to wait long for the page to load. 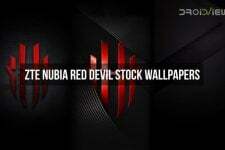 The wallpapers contain colorful abstract designs as well as a landscape wallpaper, a space wallpaper, an oil painting wallpaper, and a flat design wallpaper. The full-sized images have been packed into a zip file that you can download from the link provided below the images.